Flossing is an essential part of taking care of your teeth and gums, but Dental Floss is not for everyone. It takes time, dexterity and persistence to be truly effective. Dental Floss requires a deft touch to manipulate the string around the teeth and beneath the gumline to remove plaque without slicing the gum tissue. 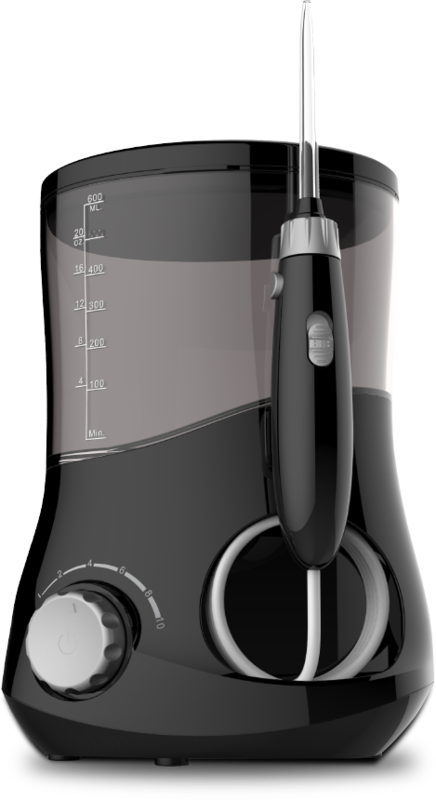 The Platinum 600 sprays a fine jet of water aimed through a specially designed hand-held tip. 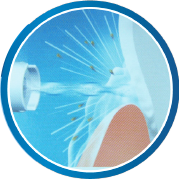 This jet of water sprays away the plaque around the teeth and below the gumline simply by pointing and spraying. Very little skill is required to effectively use this water flosser which allows even the kids to start the critical task of flossing at an early age. 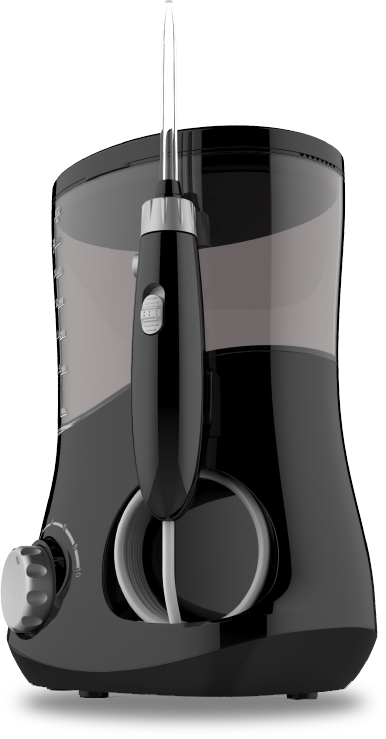 The Platinum 600 is a sleek compact water flosser designed for the whole family. It comes with a large, easy to fill, 600ml tank. Children should be flossing as soon as they have two teeth that touch. With 10 pressure setting options the Platinum 600 can be easily adjusted to suit all members of the family. This is particularly important for the young members of the family as they learn to floss – a skill they will need for the rest of their lives. It isn't easy to floss when you have braces – until now. The Platinum 600 is up to three times more effective than a regular toothbrush and floss, and is perfect for people with dental braces. The jet of water easily blasts away food and debris stuck in and behind the braces. Take 60 seconds out of your day and look after your teeth for life. 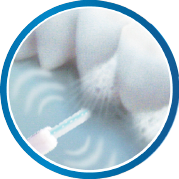 Removes plague and bacteria more thoroughly than traditional floss from treated areas, especially from deep between the teeth and below the gum-line where brushing and flossing can't reach. A powerful pulsation jet helps to massage and stimulate gums to improve circulation and keep your gums strong and healthy. Water flossing is also less painful than traditional flossing. 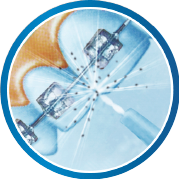 A powerful and superfine jet is ideal for cleaning around dental braces, bridges and crowns. Water flossing is more effective than traditional flossing. Enhanced water presure with 10 Settings. Auto shut-off turns off after 2 minutes cycle is complete. 30 seconds interval timer helps you clean each arc of your mouth. Powerful pulsation with 1400 pulse per minute. Large 600ml water tank reduces refilling.